Review your will. You may have bequeathed some portion, or all of your exclusion amount to your children, anticipating that your surviving spouse would have more than adequate resources. Revisit this assumption. Perhaps you may have bequeathed assets to a bypass trust that includes both your spouse and children as beneficiaries. Revisit the distribution provisions. Should the spouse be favored over the children? What standards should apply? Some wills include specific bequests of assets to particular heirs, e.g., my home to my son Thomas, and my farm to my daughter Jane. Whatever assumptions as to value were the foundation of these types of bequests should be reviewed, they may have all changed dramatically. Gift plans to reduce taxable estates should be revisited. Do you still have adequate assets to continue the gift program? Have your retirement assets been trounced to the point that gifts should be deferred? Should powers of attorney which include broad gift provisions be revised to prevent gifts that may no longer be viable? Be sure that if you are serving as a trustee that you have a current investment policy statement in place and update it to reflect recent economic developments in order to meet your fiduciary obligations. Have a CPA and/or a financial advisor assist in projections of how the stock market melt- down might affect distributions to beneficiaries. Consult with an estate attorney as to whether, and if so how, that bad news should be communicated to the beneficiaries. One of the more common GRAT techniques is a short term GRAT intended to capture upside market volatility. The recent declines in many GRAT portfolios will assure that the GRAT will bust. The next annuity payment will deplete or eliminate GRAT assets. Just as with rebalancing your portfolio during market declines, the assets should be re-GRAT’ed to new GRATs. If in fact the markets are at a low enough point now the new GRATs will remove the market recovery from your estate. Consider in evaluating this the likelihood of the next administration making the estate tax tougher! Grantor Retained Annuity Trusts come in many flavors. A common flavor has been a short term, typically two year GRAT designed to capture upside (not downside!) market volatility. The annuity paid to the grantor would be set high enough so that the GRAT would have a nominal value for gift tax purposes (the so-called post-Walton zeroed out GRAT). The result of this approach is that a substantial portion of the assets of the GRAT (your principal plus the 7520 mandated return) would be paid back to you as the grantor setting up the GRAT. Any market returns (do you remember what that means?) above the mandated federal interest rate, would inure to the benefit of your heirs (or a trust for them under the GRAT). This would result in your having to re-GRAT the large distribution you receive in each year of the GRAT to a new GRAT. This is why the technique of using repetitive short term GRATs is referred to as “rolling” or “cascading” GRATs. Whoops, instead of earning more than the mandated interest rate, your GRAT is worth 20% less than what you initially transferred to it. Most likely your GRAT will bust. All the assets will be distributed to you with nothing left for the heirs. What do you do? When life hands you a lemon, make lemonade! When the final GRAT assets are repaid to you, the trustees should sign a short acknowledgement that the GRAT has been terminated with a final payment to you (so that there is a record in the files of what happened should a question arise in future years). Next, continue your plan. Set up a new GRAT and re-gift the assets to the new GRAT. This was your plan when you undertook the rolling GRAT plan, no need to change now. If in fact the markets have been sufficiently hammered, this may be the ideal time to contribute depressed assets to a new GRAT. Stick with the discipline. If the asset class contributed to the GRAT rises within two years, you’ll have made GRAT lemonade. These can take a myriad of forms, such as a sale of assets for a note to a defective grantor trust. Evaluate these transactions to determine the impact of current economic conditions on the buyer’s ability to make payments before the next payment is due. If cash flow will be insufficient because of stock market declines or reduced business because of the economic downturn, plan required distributions in advance. Since third party lending may be difficult in normal circumstances, it might be impossible today. That leaves borrowing from a related party, or planning a distribution of equity (in the case of a note sale, but probably not in the case of a private annuity) to the seller. That will require a new appraisal for the interest being distributed back which will require advance planning to so that the distribution can be made on as timely basis. 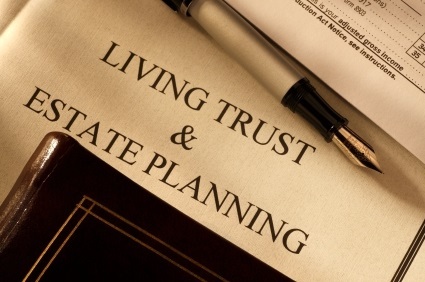 A common estate planning technique is to sell assets to a trust. This type of transaction can take many forms. The sale can be to a irrevocable grantor (taxed to you as grantor) trust (IDIT) for a note, for a self-cancelling installment note (SCIN), for a private annuity, etc. Similarly, you may gift interests in a business or other assets to GRATs. A key to these transactions achieving their goals is that the assets will generate sufficient cash flow for the trust to pay the note, or the GRAT to make its periodic annuity payment. If economic developments have cast doubt on the trust being able to make payments out of cash flow, don’t miss any payments. Don’t miss a payment as it may provide a basis for the IRS to challenge the validity of the entire transaction. Audits have focused more attention on compliance with the formalities of maintaining the transaction. Issuing a note back to you to meet a GRAT payment won’t fly. While it might be feasible to secure third party lending by the trust, this is likely to be complex in normal times, and perhaps impossible under current market conditions. The result will be that you may have to distribute back part of the equity of the underlying real estate, business interests, etc. This will require an appraisal. Watch out for discount whipsaw! If you realized a 35% discount on the 45% LLC interest you sold to the IDIT, or gave to the GRAT, will a higher discount apply to the 2% LLC interest that is distributed back to you? Again, while it is a cost, it doesn’t necessarily disrupt your plan. Most of these transactions contemplated re-distribution of equity interests anyhow. Action Step: Review cash flow and payment options now, not when they become due. If you have made charitable commitments, or wish to, you may need to revisit these goals. Perhaps instead of outright charitable gifts, you might be able to make a bequest under your will, which they can revise if circumstances continue to deteriorate. If you want to make a donation, perhaps a gift annuity will suffice. A gift annuity will assure you a monthly or quarterly check for your lifetime (and that of your spouse) after which the remainder (which is often about 50% of the value) will be given to the charity you wish to benefit. For larger gifts a charitable remainder trust (CRT) could be used. These methods can be used to address gifts you might feel obligated to make, but preserve a meaningful economic benefit to you. When economic conditions improve, you can donate the remaining interests in the gift annuity or CRT, or make an outright gift. Discounts are a cornerstone of many estate planning leveraging techniques. A discount is simply illustrated as follows: 30% of a $100 business is worth less than $30 because the minority interests is hard to market and has no control. Has recent market turmoil legitimately increased the discounts on certain transactions? What about valuations? While the decline in the value of marketable assets is pretty obvious, other assets have also taken big valuation hits. To understand the impact, consider an approach of building up a capitalization rate for valuing real estate assets in today’s environment: [Corporate bond rate + Premium for lower liquidity of target asset as compared to bonds generally + Premium for greater management difficulty of real estate + Premium for unique difficulties of assets in question (location, difficulty to liquidate) + Premium for additional management burdens of residential real estate, vacancy and credit risks of tenants in the actual properties involved + Premium to reflect unique factors in 2008 = Total Capitalization Rate.] Credit risks may be far greater than they have been in years. Unique factors certainly exist in the current market. Action Step: Now may be an opportune time to structure gifts. Higher discounts might be justified. Asset values may be depressed. Interest rates remain low. Estate taxes are unlikely to be repealed. Stop hiding under the bed. Move your planning forward. If you are scheduled to make substantial estimated tax payments, consider the benefits of having your accountant estimate actual tax liabilities for the current year which might enable you to decrease fourth quarter estimates to help cash flow. People too often cut the wrong corners when they feel pinched. Review property, casualty, liability and other insurance coverage. For example, rather than your cancelling property or liability coverage, increase deductibles and cut some of the less essential riders. You can apply this same philosophy to many types of insurance coverage to help reduce costs while still protecting against major risks. When your cash flow recovers in the future, you can reinstate appropriate coverage that was scaled back. Have your insurance program reviewed. Do you still need the coverage? Can a less costly coverage suffice? If you’re financially strapped and really only need insurance coverage to cover a home mortgage and college costs, a combination of term policies might suffice instead of a permanent policy you’re maintaining. The cash flow savings might be vital until you recover from current financial conditions. If a policy is no longer necessary the sale of the policy may generate much needed cash. If you’re purchasing new insurance, diversification of carriers which had often been ignored in the past should be considered. Instead of placing a $3 million policy with a single company, consider three $1 million policies, each with a different company. This could provide needed safety if conditions continue to worsen. Even in rosy financial environments it is advisable every couple of years to review the financial status of the insurance company, obtain an in-force illustration and so on. Whether you’ve done this in the last year or two, the current turmoil should motivate you to do a review now. Don’t assume your insurance company is safe, AIG changed all that. Query how that changes the fiduciary responsibility of trustees? If the policy is a variable policy, how badly have the underlying mutual funds been hammered? What does that do to future plans and the viability of the policy? If the variable policy is held inside a trust, what about the impact on the need for future gifts? What if the grantor has made other plans for her annual gifts? Just because your brother in law asked you to be a trustee doesn’t mean you can ignore your responsibilities as trustee! Action Steps: Review and document the current status of the insurance company. If new insurance is purchased diversify – use a different carrier. Reevaluate whether the lower rate from a less secure insurer is a bargain or a problem waiting to happen. Obtain an in-force illustration and review steps you might take to shore up the policy. If you’re a trustee, meet with counsel and review the benefits or obligations to communicate these matters with trust beneficiaries. Insurance may need to be evaluated from another perspective. If your other income sources have been reduced, can you reduce or even delay insurance premiums for a couple of years until your financial situation turns around? Recent market shockwaves may have altered the fundamental reasons you purchased the insurance (to pay estate tax on your now defunct mortgage lending business). Re-evaluate what your needs are. You may want to freeze what had been an aggressive gift plan so that your insurance needs may increase. Perhaps you are now convinced that economic developments will force Congress to strengthen the estate tax, not repeal it. Perhaps increasing insurance in spite of economic conditions is the right move for you. Action Steps: Reevaluate all insurance decisions. At SRS Wealth Management, Inc. we have over 15 years experience working with high net worth clientele. We also work with local attorneys, cpa's, and even some of the best attorneys across the nation to insure your satisfaction. Give us a call at 740-242-0173 for a free, no obligation Estate Plan review.